Happy (late) Birthday, Danielle Alana! Wow. Two years old! Time seriously does fly when you are having fun. I started this blog not really knowing what would come of it, or how long I would do it for. Fast forward to now and it is definitely more than I could have ever imagined, and I mean EVER imagined. You see, I found out about bloggers through Pinterest. If you don’t already follow me on there, click HERE to follow. I always searched for outfit inspiration (and still do) to help pull together my outfits. I would either do general searches like “Spring outfits” or “fall looks”, or I would look more specifically. “Black boots outfit”, “white top look”, you get the point. But almost every time I looked regardless of what I typed in, I kept seeing the same faces popping up. At first I didn’t think anything of it but after a couple months of it I finally got curious. Are these just store models? Who are these girls? I either want to shop at the store or I want to shop these ladies closets! I always pinned the stuff I was looking up, but I never clicked on the links. Until one day…I did. And it didn’t take me to a weird site. It took me to a blog. A fashion blog, to be more exact. Who knows what I was doing that day, but after I realized I wanted to look around more I just went on my laptop and searched this site. I was on this blog for HOURS you guys. Hours. And the blog was The Sweetest Thing by Emily Gemma. I read everything, I shopped, I watched every video she has, and then I went over to Instagram. After that it was a game over. By the end of the week I was following her and at least 100 other people. FINALLY- the faces I had been seeing all over Pinterest, I was finally able to put names to them. I still remember this experience very vividly, because never in my entire life had I felt so inspired and so interested in something. After spending who knows how much time (probably an unhealthy amount), I asked myself this question. “I’m so in love with this blogging thing. I’m a girly girl— I love clothes, makeup, talking about hair and chatting lifestyle. 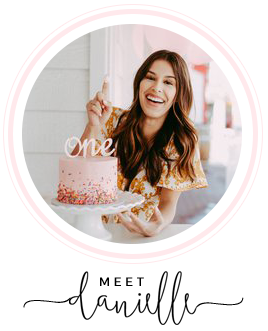 What is stopping me from starting one of my own?…Nothing.” The next day I hired a web designer, and my blog Danielle Alana was born. The domain was bought and after 5 months of hard work, decision making, and creating my blog went LIVE, on March 7th, 2017. Starting last Fall, I began to feel so much pressure when it came to my Instagram and Danielle Alana. I’ve always been hard on myself, but I started getting even MORE hard and a little harsh. So much that I was kind of losing interest. One thing after another, things started to go down hill. I dreaded going to take pictures. I then hated every picture Tim took of me. None of blog posts or Instagram posts were good enough. In order to keep an engaged audience, I needed to be posting every single day, maybe even twice a day. I wasn’t even close to anywhere near that. My clothes all of a sudden were ugly and hideous. I started telling Tim that this wasn’t worth it anymore and that I hated doing this. It just wasn’t making me happy anymore. Come Christmas time, I pretty much took a two week hiatus from Instagram. I stopped it all— the photo taking, writing blog posts, even responding to emails. I took a step back and really reflected on what I was doing. Then it hit me… I had fallen into the comparison trap. Not just a “I need a pep talk” comparison. I was DEEP in it and it was going to take awhile for me to come out. After realizing what had happened to me, I asked myself three major questions. 1. What is the goal of my blog? What is the goal of Danielle Alana? 2. Why do I blog? What about this makes me happy? 3. Am I ok with being “different”? Before I give you the answers to these questions, I want to say this. I started this blog at the age of 19 and I had no idea what I was doing. I just wanted to start a blog because I liked all things girly— clothes, makeup, hair stuff, lifestyle, like I said before. It was so me! All of the girls I followed did it, so why couldn’t I? I had no goal for this though. I was just going to try it out and see what happened. What I looked up to in the beginning of bloggers though was wrong reasoning. I saw the money and the lifestyles and just knew I wanted that. Again, read what I’ve learned from blogging to see my thoughts on that. After taking a step back from everything, these are the answers to my major questions that have now put everything into perspective. 1. What is the goal of my blog? What is the goal of Danielle Alana? The goal of Danielle Alana is for woman EVERYWHERE to feel welcome, have a community, and feel inspired. I want Danielle Alana to be a space on social media and here where ladies can go for whatever they need. Recommendations on makeup, help finding a cute pair of shoes, learning about healthy living—anything from fashion, beauty or lifestyle. After a long day of work, I want ladies to feel they have a space to be inspired and have fun. Key word: have fun. At the end of the day, checking out my profile on Instagram and watching my stories is just fun, isn’t it? After we all go through the day to day things like work, errand running, chores, etc., it’s nice to unwind and relax. Most importantly though, I want everyone who follows along to remember I am a real human being just like them, and that Instagram is a total highlight reel. So at the end of the day, my goal for my blog and Danielle Alana is to inspire women and create community among all who love fashion, beauty, and lifestyle while interacting with one another, gaining ideas and also enjoying themselves! 2. Why do I blog? What about this makes me happy? 3. Am I ok with being “different”? Pretty much every article I read, or podcast I listen to about blogging I feel has the same exact advice. “Make sure you're posting twice a day!”, “Just be yourself!”, “You need to be on all the time”, seriously over and over and OVER again. I have a problem with this advice though. You know why? Because some of it isn’t realistic. Posting twice a day? Hell, I’m lucky if I can get one post up a day. Why, you ask? Because I have a full-time job and blogging isn’t my full-time job. I wipe butts for a living and I go to work in athleisure wear with no makeup. The weekends are really my only time to snap a photo- and sometimes my weekends I just want to take to myself and relax! Or, normally, they’re just super fricken busy. Being on all the time— definitely not me. I’m a total introvert and if I’m not in the mood to chat or be on I just flat out won’t be. While I’m not on stories, I’m mostly just curled up in a ball being quiet! Being yourself, can also be difficult sometimes. Especially as a blogger. I have REALLY gotten a lot better at this and learned a “dgaf” attitude over the past couple of months, but social media is social media. Regardless of what tips and tricks you have, everyone at one point or another is going to feel social pressure to either try something new or act on something that isn’t like them. And in my opinion… that is just life. So am I ok with being “different”? By now you know when I say “different” I am talking about not following these blogging standards that people made up. Posting every single day, always following these strict guidelines that are the key to success, etc.. Yes, I am 100% ok with it. One question I can continue to ask my followers over and over again is “Do you like to see real life on here or pretty pictures and saturated things?”, and not once has the vote seeing pretty pictures and not real life won. I mean never. My polls are usually 2 votes for that, and a crazy ridiculous amount for real life. So every time I am proven by my followers, by you guys, that real life wins—always. I value what my followers have to say and I know that me and my tribe prefer realness over any other blogging “rules”. So this could mean for me, that it takes me way longer to go full-time with this. And money from my blog may not be flowing in as fast as I’d like it too. But I am OK with that. Because when it comes to my goal for blogging, it is to serve other women and to create community, not to be money hungry and serve myself. I can’t tell you how good it feels to type all of this out in a blog post. I’ve been holding this bottled up for a few months now, and I’ve almost felt like I’ve given birth to a new me. I have a whole new perspective on blogging, what my goal is, and what brings me so much happiness through all of this. After losing my dad in February, I felt it even more then ever that life is just too short. You need to do what makes you happy, and you need to find purpose in your doing and give it all you got. To my lovely followers- thank you for accepting me for who I am and choosing to stick around. Here’s to always keeping it real and having fun!